Cayenne pepper is also known as red pepper or capsicum, and it has a rather wide range of potential health benefits. Used externally and internally, this colorful spice is not expensive and is easily available. Here are some of the health benefits of cayenne pepper. You can take cayenne internally in capsules or add it to foods and drinks (try tomato juice). 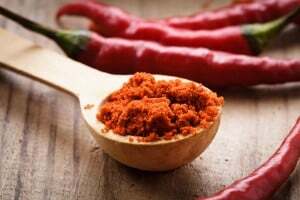 Using cayenne on the skin at the site of pain is also effective – research has clearly shown that capsaicin creams relieve pain when applied to arthritic joints. It apparently dulls local pain receptors, and it also increases blood flow to the area. The use of cayenne to treat ulcers may seem counter-intuitive. But contrary to popular American belief, hot peppers do not cause ulcers. Red pepper may, in fact, protect the stomach lining from developing an ulcer. It has been shown to protect laboratory animals' stomachs from large doses of aspirin that would normally cause ulcers. Cayenne is antibacterial and encourages sweating, which means it can really help fight infections in the throat and upper-respiratory area. When combined with garlic in a broth, it is an excellent early treatment for colds and flu. Cayenne increases circulation and makes the blood less likely to clot, according to James A. Duke, PhD. Prevention of clot formation helps avoid scenarios that could give rise to heart attacks and strokes. The aspirin-like compounds “thin” the blood as aspirin itself is reported to do. A study in England showed as much as a 25 percent increase in metabolic rates – that is, how fast you burn calories – in individuals who ate a teaspoon each of red pepper sauce and mustard at every meal. Also, if you eat hot and spicy food you will be likely to drink more, causing a feeling of fullness that will help prevent overeating. Americans, though, tend to add spicy hot pepper sauces to high-fat foods, so be sure you don't undermine your weight loss attempt by using cayenne in high-fat, high-calorie foods. As mentioned above, cayenne helps circulation. The salicylates act like aspirin, thinning the blood but without the stomach irritation that can occur with aspirin. This humble spice is not just a lively condiment. It has many health benefits and is considered safe! Learn more about cayenne extract and get it here. Get organic, fair trade cayenne powder here. Everblossom is a community for practical wellness. It's all about working with what we have - right where we are! What Herbs Can You Take During Pregnancy? I love cayenne pepper! 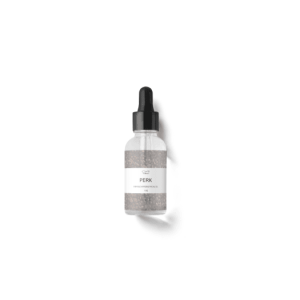 I often put it on my food instead of black pepper – I’m crazy that way. I love that it has so many health benefits. Sounds great! I do the same thing. 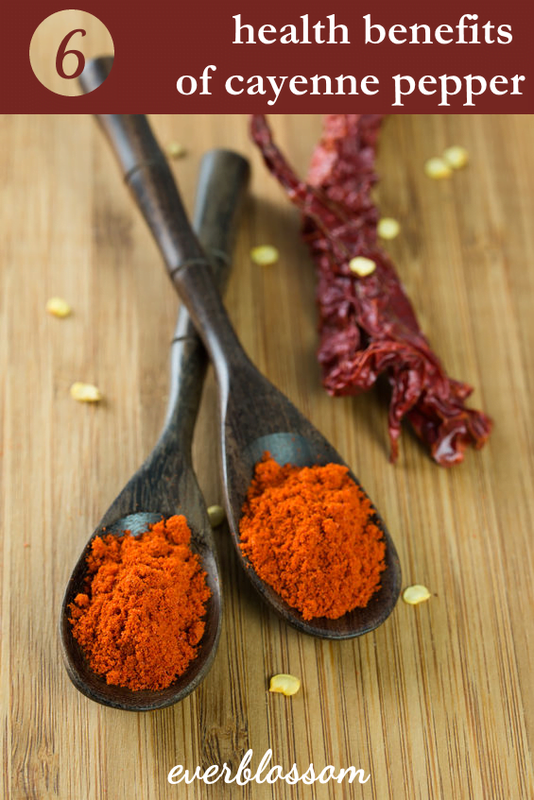 I had no idea Cayenne had so many amazing health benefits! I can’t take too much heat, so I love your tips for alternative ways to use it.